If you are new to online casinos (or casinos in general), there may be some terms you come across that you're unfamiliar with. 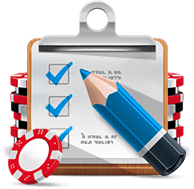 That's why we've put together the following list of terms that cover all of the most important words you might come across in an online casino. This glossary features both general casino terminology and some important terms and phrases related to the most popular casino games. If you're mystified about the slang and jargon used in the casino industry, the following list should help get you up to speed. American Roulette: The version of roulette that is most popular in the United States and the Americas. This version features an additional "double zero" on the wheel, and has a higher house edge than the European version of the game. Banker Hand: One of the two designated hands in baccarat (along with the player hand). Both hands are controlled by the dealer, and both can be bet on by players at any time. Blackjack: The best possible hand in the game of blackjack, made up of an ace and a ten-point card in the starting hand. In most cases, a blackjack will pay 3-2 odds. Bonus Round: A special feature on a poker machine that offers the chance to win outside of the standard gameplay. 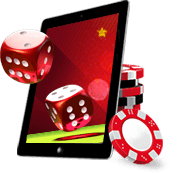 These features often take place on a new screen where the player can pick from various options to win prizes, multipliers, or free spins. Bust: To go over a score of 21 in blackjack. If your hand busts, you immediately lose any bets on the hand; if the dealer busts, and player that did not bust immediately wins. Coin Size: The basic denomination being used to determine the cost of each spin on a pokie. At online casinos, players can typically choose from several different coin sizes and determine how many coins they want to wager on each spin. Come Out Roll: The first and most important roll in the flow of a craps game. All pass and don't pass bets are made on the come out roll. The come out roll often sets a point, which is critical for future bets. Commission: A 5% charge taken on winning banker bets in baccarat. Usually, this means that a $20 bet will pay $19. Croupier: The name for the casino employee who runs a roulette game. 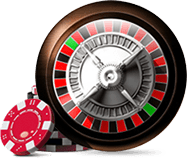 The croupier will spin the wheel and mark the winning number, as well as tell players when they are allowed to make bets. Double Down: An option for blackjack players after they receive their initial two-card hand. If a player chooses this option, they must make a second bet of equal size; in exchange, they receive just one more card, after which they must stand. European Roulette: The version of roulette that is commonly found not only in Europe, but also in Asia, Australia, and New Zealand. This version has only a single zero and may use favourable en prison rules, both of which lower the house edge and benefit the player. 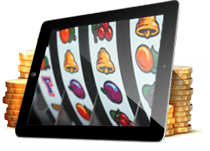 Free Spins: Spins on a poker machine that do not cost any money to play. These spins are usually earned as part of a bonus round or by matching special symbols during normal play. Gamble Game: An optional game offered at the end of a video poker game (and also on some poker machines) that gives the player the chance to risk their winnings from the last hand in an attempt to double them. Normally, a player will have to correctly guess the colour of a card drawn from a deck in order to win. Traditionally, these games are fair bets with no house edge. Hit: To take an extra card in blackjack or other card games. Hole Card: A face down card. For instance, the dealer has a hole card in most forms of blackjack, and players may refer to their face down cards in poker as "hole cards" as well. Inside Bets: The bets in roulette that are made on the inside of the roulette table layout. These include bets that cover only one or a handful of numbers, and tend to pay out at high odds. Instant Play: A version of an online casino that allows players to access casino games from their web browser and does not require a program to be installed on a computer. These may also be referred to as "browser-based" or "no download" casinos. Insurance: A bet in blackjack that pays only if the dealer has a blackjack. The bet costs half the amount of a player's normal bet, and pays out at 2-1; essentially, this allows the player to break even should the dealer have a blackjack. Jackpot: The largest prize available on a pokie. The symbols needed to earn this prize are typically known as "jackpot symbols." Outside Bets: Bets made on the outside of the roulette table layout. These bets often cover as much as half of the roulette wheel at any given time, but pay out at lower odds than the riskier inside bets. Pass Line: The most basic bet in craps. This bet pays out if a come out roll results in a seven or eleven, and loses if that roll is a two, three or twelve. If any other number is rolled, that number becomes the point, and the pass line bet wins if that point is rolled again before a seven. Payline: A line of symbols on a pokie on which adjacent symbols can win prizes. Most modern poker machines offer multiple paylines, giving players many different patterns on which they might win a prize. Point: A number that is determined by the come out roll in craps, unless that roll results in an immediate win or loss. Progressive Jackpot: A jackpot that grows as players play a particular poker machine (or group of machines). Every time a player places a bet, a small portion of that bet goes to fund the jackpot. If the jackpot is won, the jackpot resets to a minimum amount and begins building again. Push: A tie bet in a casino game. When a bet pushes, the player receives their bet back, but does not receive any winnings. Scatter: A special symbol on a pokie that can win if several appear on the screen at the same time, even if they are not on the same payline. These symbols often also serve as a way to unlock bonus rounds or other special features. Shoe: The collection of cards that are used to deal casino card games such as blackjack and baccarat. A shoe is usually referred to by the number of decks it contains, such as an "eight-deck shoe." Slots: The name used for pokies in many parts of the world. At an online casino, you'll likely find poker machines listed under a heading of "slots" or "slot machines." Split: An option available to blackjack players if their initial hand has two cards of the same rank. Each card starts its own hand, and each hand must be played for a full bet. Stand: Choosing to take no more cards in a card game such as blackjack. Once a player stands, their hand is set and cannot be altered. Taking the Odds: A bet in craps that becomes available if the player has made the pass line bet and a point is then set. The player may make an additional bet behind their pass line bet, one that pays at various odds depending on the point. These odds are fair, offering no edge to either the casino or the player. A similar bet is also available behind the "don't pass" bet. Tie Bet: A bet in baccarat that predicts that the banker and player hands will tie. This hand usually offers odds of 8-1, but also carries a high house edge. Wagering Requirement: A requirement set by an online casino that dictates how many bets a player must make before they can cash out their bonus money or winnings. Normally, these requirements are expressed as a multiple of the initial deposit and/or bonus amount (such as a 20x wagering requirement). Welcome Bonus: A bonus offered to new players at an online casino. These bonuses are usually matching bonuses based on the size of a player's first deposit into a casino. Wild: A symbol on a pokie that can be used as any symbol to help complete winning combinations. Some casino games also use "wild cards" that players may count as any card.